Regardless of the destination, traveling can increase the risk of contracting travel-related infectious diseases. 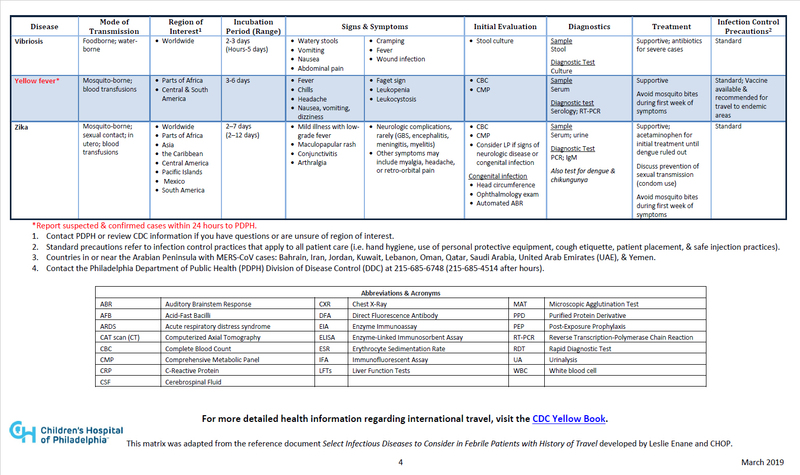 In light of university and school spring breaks and associated travel, the Philadelphia Department of Public Health (PDPH) Division of Disease Control (DDC) encourages providers to consistently review travel history, maintain familiarity with infectious diseases acquired abroad, and implement infection prevention and control actions. Verify whether patients with upcoming travel plans are up-to-date on routine vaccinations and review the need for additional vaccines or medications. 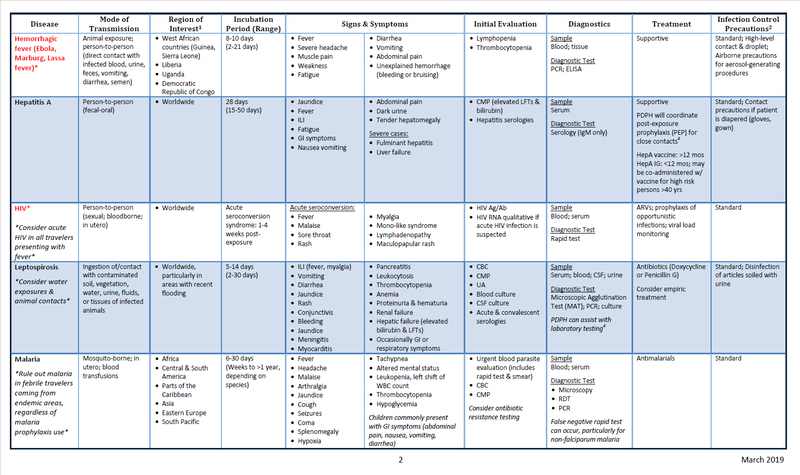 exposure history, illness onset and severity, medical history, and pre-travel immunizations or prophylaxis. 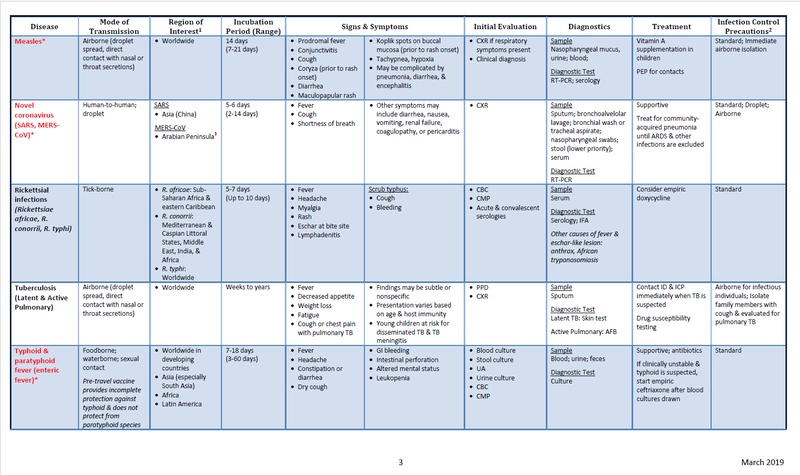 Order appropriate diagnostic tests. PDPH can help coordinate specialized and confirmatory testing not routinely available through commercial laboratories. Report suspect and confirmed notifiable conditions to PDPH promptly. During business hours (8:30 – 5:00), call 215-685-6740. For urgent cases after hours, call 215-686-4514 and ask for DDC on-call staff. There are large measles outbreaks in several countries in Europe, Asia, the Pacific and Africa and six ongoing measles outbreaks in various areas across the US. Exposed travelers may bring measles into their communities, which can then further spread within pockets of unvaccinated people. Domestic outbreaks have been linked to returning travelers who brought measles back from other countries. Exposure may also occur during travel to US states experiencing measles outbreaks. Travel-related arboviral infections (chikungunya, dengue, malaria, Zika, yellow fever) may occur in Philadelphia residents returning from subtropical and tropical regions. Dengue and untreated malaria infections can cause serious complications requiring hospitalization. Zika virus infection during pregnancy can result in microcephaly, fetal loss, or other birth defects. Other health risks associated with travel include influenza (flu) and norovirus that are widely circulating in several countries and can also spread among fellow passengers during transit. 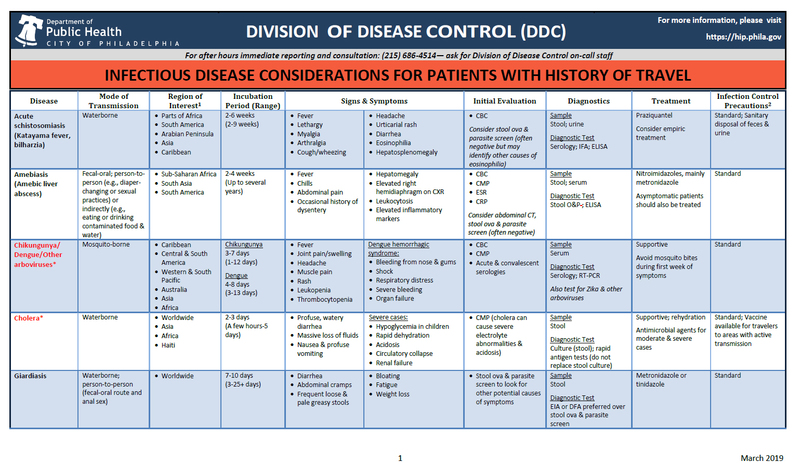 PDPH developed a matrix entitled, “Infectious Disease Considerations for Patients with History of Travel” (See below), that clinicians can reference when evaluating patients.